The Davy V. Blog: Where is Lovely Warren? Rochester, NY is recovering from one of its biggest storms in history. A windstorm with hurricane style winds which peaked at 81 miles per hour Wednesday afternooon. A windstorm which ripped through Rochester and Monroe County, snapping trees and utility poles in half like toothpicks. We've seen downed power lines sprawled across city streets. We've seen houses crushed by fallen trees. And we've seen utility trucks from out of town coming to help restore normalcy in Rochester. But there's one thing we haven't seen. One thing noticeably missing through all this. Rochester, NY Mayor Lovely Warren. She's nowhere to be seen or heard from. Not before, during, or after the storm. Which is interesting, because Mayor Lovely Warren wasn't hard to find Monday evening when she announced that she would be running for re-election, inside a packed coffee shop which clearly violated fire code occupancy limit. 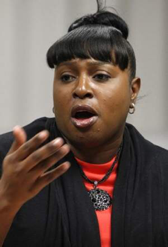 Just a couple of days after Charlotte Lahr, Rochester, NY's latest homicide victim, was repeatedly stabbed, bludgeoned with a liquor bottle, and brutally murdered by a parolee inside her small South Avenue business, Mayor Lovely Warren chose to announce her re-election campaign. 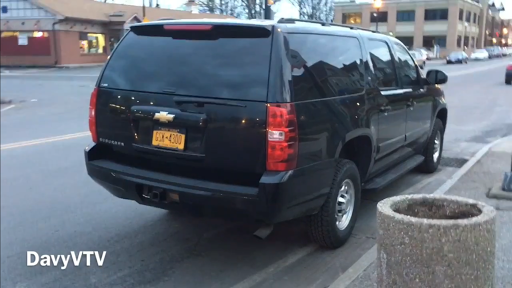 While her taxpayer funded black Chevy Suburban limousine was parked illegally, in a no parking zone, and blocking a bus stop. Mayor Warren, leaders are supposed to lead. They're supposed to be seen. They're supposed to show face. Especially in a time of crisis. You were supposed to come out and reassure Rochester, NY taxpayers, including your own constituents, that they're going to be ok.
That you and your staff are on it. As Mayor, you're supposed to tell taxpayers that you're doing, and will do whatever it takes to ensure their safety especially given the fact that the weekend forecast calls for 17 degrees and even less when you factor in the wind chill, and thousands of city residents are still without power.